This product is used to alleviate some of the conditions of Iliotibial Band Syndrome. How It Works: This IT Band Wrap provides targeted compression, stabilizing the Iliotibial tract as it absorbs stress to the area and reduces friction and rubbing of the femoral condyle. 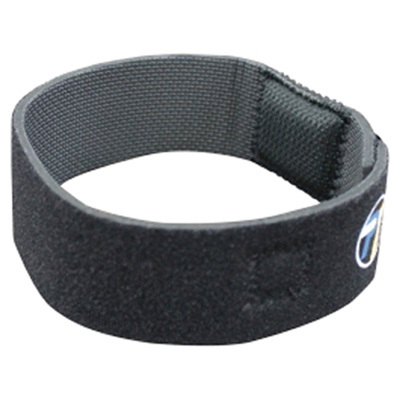 Design Theory: The IT Band Wrap includes a compression pad which provides targeted compression. It is 5cm wide and is made from UBL neoprene which is comfortable on the skin. Now with a NEW non-slip backing!